Budget to promote content with TrendMD corresponded with 15% year-on-year pay per view increase, and over 5-fold ROI. Past posts on this blog have shown the effectiveness of TrendMD for increasing overall pageviews or driving traffic to specific journals, but we have not yet shown the effect TrendMD can have on the revenue generated by those pageviews and subsequent article downloads. Recent results with Clinics Review Articles suggest TrendMD not only helps drive traffic, but may also help drive increased revenue from pay-per-views. Beginning in January 2016, The Clinics applied a monthly budget to promote their articles using TrendMD. At the end of September, we compared aggregate PPV revenue since applying a monthly budget to the aggregate PPV revenue from the same timeframe in 2015 (prior to engagement with TrendMD). 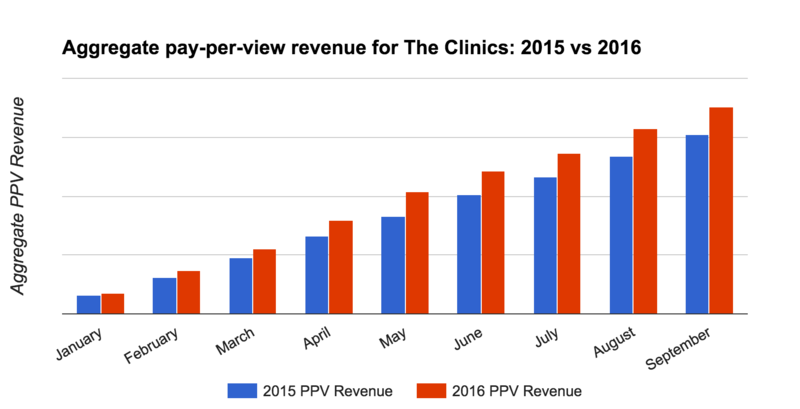 Overall, the dollar value of aggregate PPV revenue generated on The Clinics was 15% higher when TrendMD was used to promote their content. The visitors referred to The Clinics’ sites from TrendMD were also highly engaged, with an average of 9% clicking through to purchase an article. Clinics Review Articles has been helping healthcare practitioners and medical researchers save time, stay current, and improve patient outcomes for more than 100 years. The first Clinics of North America were published in the early 20th century by W.B. Saunders Publishing Company in Philadelphia. Today, there are nearly 60 different Clinics Review Articles titles, each one covering a distinct area of surgery, medicine, veterinary medicine, nursing, and dentistry.